Author: Bull, Emma Set In . 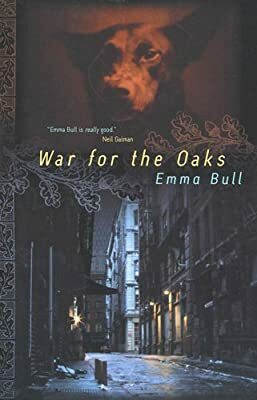 . .
Acclaimed by critics and readers on its first publication in 1987, winner of the Locus Award for Best First Novel, Emma Bull's War for the Oaks is one of the novels that has defined modern urban fantasy. Eddi McCandry sings rock and roll. But her boyfriend just dumped her, her band just broke up, and life could hardly be worse. Then, walking home through downtown Minneapolis on a dark night, she finds herself drafted into an invisible war between the faerie folk. Now, more than her own survival is at risk—and her own preferences, musical and personal, are very much beside the point. By turns tough and lyrical, fabulous and down-to-earth, War for the Oaks is a fantasy novel that's as much about this world as about the other one. It's about real love and loyalty, about real music and musicians, about false glamour and true art. It will change the way you hear and see your own daily life.